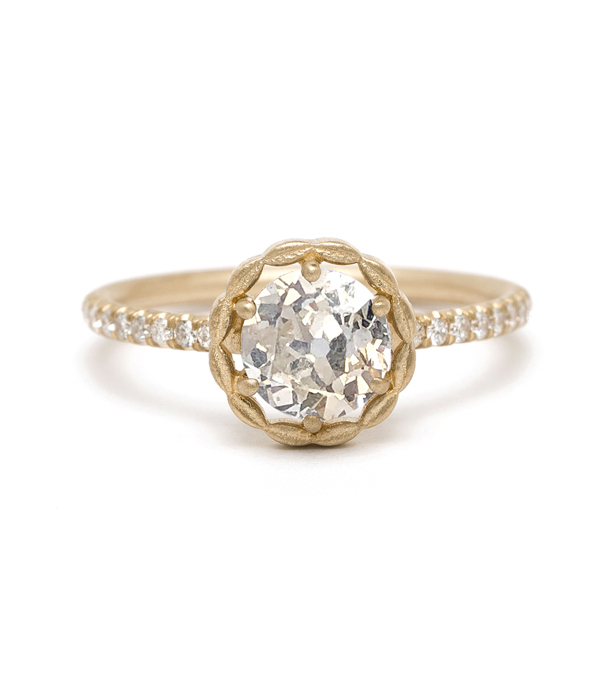 A unique and understated design inspired by a vintage romantic stye. This 14K matte yellow gold round wire band is graced with a .59 Old European cut J-K color SI2 clarity diamond center, framed with a halo of tiny golden leaves. Twinkling diamonds trail halfway along the dainty band adding a pinch of sparkle. We love the low set profile of this ring and the fact that it is ever so stackable.